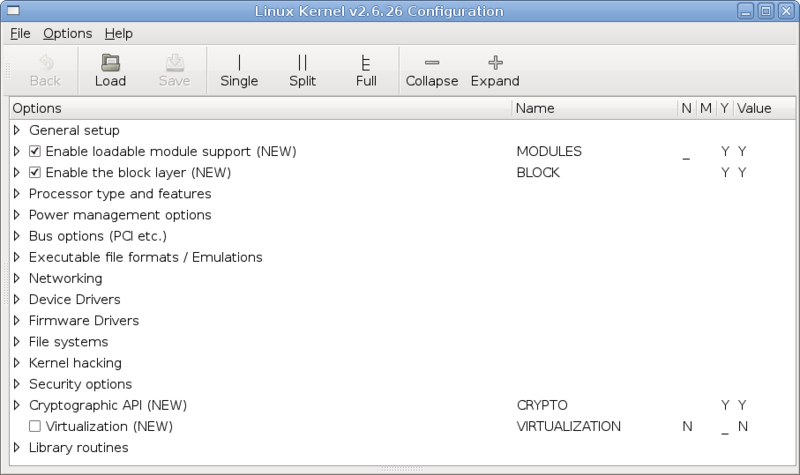 This tutorial will explain Howto compile kernel in Debian 5.0.The default kernel that comes with Debian is better suited for servers. It's optimized for high thoughput and low interactivity. When you compile your own, you can among other things optimize it for the processor(s) you have. If you plan on using the graphical configuration tools, gconfig or xconfig, you'll need additional packages, respectively libgtk2.0-dev libglib2.0-dev libglade2-dev for gconfig or libqt3-mt-dev for xconfig. It then will give you all kind of chatter, warnings and notices during, it's quite normal. great info, but where do we get gconfig or xconfig because it’s not in the repos. @Rich Hartley: They’re not separate programs but features of make. ….”error: zlib.h: No such file or directory”…. Where must be created *.deb after finish???? so what should i do..?? ?